SOURCE360 celebrates the innovation and creativity inspired by the positive use of Hip-Hop and represents NYC’s and Brooklyn’s diverse cultural tapestry. 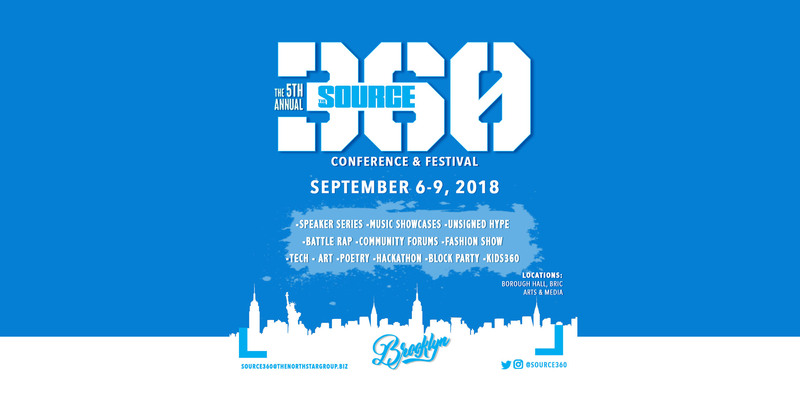 SOURCE360 is a cultural and community celebration embodying the entire 360-degree spectrum of art, music, film & television, fashion, dance, sports, and technology inspired by Hip-Hop. SOURCE360 is more than a festival and hub of creative performances. Education and thought leadership is essential to the mission. One of SOURCE360’s goals is to engage the community and increase awareness and interest in higher learning among middle school and high school students through the filters of music, film, fashion, sports, technology and the performing arts.